Yet, we are in a sad state of affairs as a nation when it comes to reading. We live in the Information Age and most Americans read less then ever, less than a book a year, but spend more then 4 hours a day watching T.V. Of those with a high school diploma, 33% will never read a book again after high school, and it is even worst for college graduates–42% will never read a book again! As Gordon B. Hinckley said again and again, “Get as much education as you can.” It was not, educate yourself only while you are getting a degree or going to school. 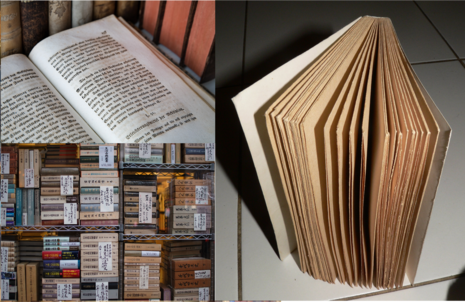 It was get as much as you can, and a book is one of the best and cheapest ways to do it. On top of that, the best education is a self-driven education. Not a curriculum or teacher driven education. If you are in school or out of school, enlighten yourself, expand your mind, grow beyond yourself with a book. Put down the T.V. remote and pick up a good book. You will be amazed by how many of life’s solutions are found in a book, and how empowering an education can be. Many of the great leaders of world history were readers. The 33rd president of the United States of America, Harry Truman, was famous for saying “Not all readers are leaders, but all leaders are readers.” Those that make an impact on the lives of others were and are readers. Learning by trial and error can be done, but it is painful and less effective. The effective path is learning from other people’s life experiences. Books can do just that. Reading books puts you in the thoughts of the author. Learning from the author’s life events, their conclusions, their inspirations, in essence, their worldview. Reading is nothing more than guided visual thinking (see what they saw, picture what they envisioned, do what they did, experience what they went through). Even though the author lives on the other side of the world or they may have lived centuries before your time, with the gift of reading you can argue with the author, gain insights, find inspiration, illuminate your life’s path, and learn from the great minds of this and past centuries. And at this point we can say we are “stand[ing] on the shoulders of giants” as Ralph Waldo Emerson put it. The type of reading that I am talking about is not just reading for entertainment or just to past time. The reading that I am talking about is where you bend the information in the book towards making an impact in your life. How do you know if the book got through you? Through a meaningful exchange, I got some really powerful information. I came to the conclusion that you know that a book gets through you when . . .
1) Your reading impacts and changes things you have personal control over (the thoughts you think, the images you picture, and the behaviors you do). 2) Increases in our personal influence on the people and the world around us. When was the last time you read something that changed you? In reading, I have been on the slate covered hills of Afghanistan with Marcus Luttrell and his life altering decisions of survival and sacrifice. I have been with the Ingalls family on the prairie settling the wild west. I have been to galaxies far, far away with Jedi Masters, and I have learned from the teachings of the world’s number one leadership guru–John Maxwell. I have argued and debated points of psychology with Victor Frankel years and years after his death. Because of reading, you can be mentored with great minds of this world and with God to become the best version of yourself. The book I recommend on learning how to read like this is called Turn the Page. It is a short, quick, wonderful read. I read it last January, and I am reading it again this January. Learning how to read in this manner is a learned skill, and this book does an excellent job of teaching you the steps. Get it now to help you with your New Year’s resolutions. See how reading is a great leverage point for personal change and guides you to the remedies for your life challenges. In the book 7 Habits of Highly Effective People, Steven Covey discusses the habit of beginning with the end in mind and that anything created was first created in the minds eye. Thus, highly effective people and strong leaders, know what they are striving for. 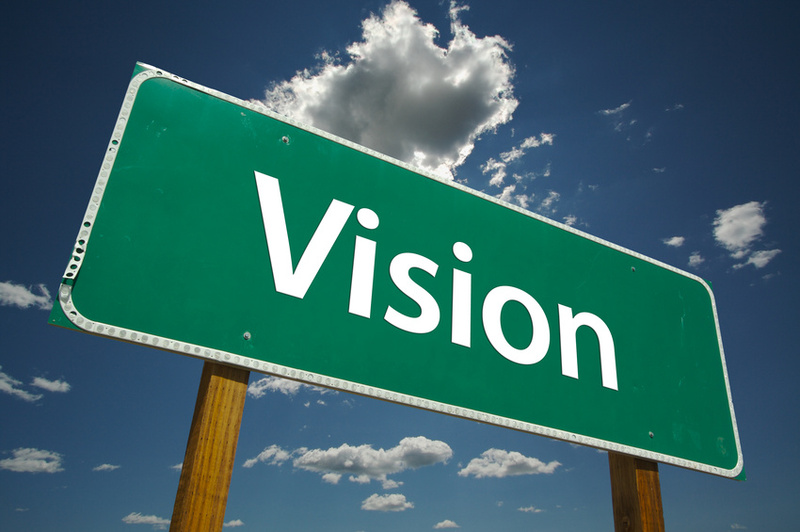 Leaders have a vivid vision of what they want from life and for the future. They first see it in their minds-eye like it already is exists. A mental picture of the future. Successful leaders, the great ones, envision their goal so vividly that even though it is in the future they fully expect it to manifest. Julius Caesar wanted to be great and he wanted to rule Rome. He was very popular among the people, but hated by the government officials. The Senators thought he was too power hungry and his popularity made him too powerful. Nevertheless, Caesar had a goal he desired deeply. One evening while Caesar was with his army occupying Spain, his fellow officers were socializing in the library and Caesar was reading about Alexander the Great. In the midst of his reading and while his associates played about him, Caesar began to cry. It was odd to see a soldier of Caesar’s status cry. The soldiers reassured him that he did not need to cry about anything as he was liked by all and was a powerful solider in the best army in the world. This was not reassuring to Caesar, his vision and goals were bigger than he had. He wanted to rule Rome. He was crying because by time Alexander the Great was his age, Alexander had already ruled the known world. Caesar was disappointed to the point of tears that he was not being as successful as someone with the qualifier of “Great” after his name. Caesar had a vision so vivid that he wept that it had not yet manifested. Another story of the same legendary proportions is the story of Michelangelo’s Moses statue. Michelangelo believed that the figures he sculpted where divinely created within the stone, and that he was simply removing the excess marble. I have personally heard of individuals that were so in awe over the David statue—explaining to me that it looked so life-like that David’s veins looked as if they had blood flowing in them. The alleged story with his Moses statue is that as it was coming to completion Michelangelo struck the right knee of the statue with his chisel, and shouted “Why don’t you speak to me?” In fact, as legend has it, if you look at that knee he struck you can see a line. Michelangelo envisioned this statue so vividly, and it looked so life-like, that he expected it to speak. I would submit, that this type of vision is one of the crucial factors that allowed his works of art to appear so real. In order to overcome the worlds decline, we need leaders with a vision so vivid that they cry over it. The leaders of the 21st century need a vision that is so real in their minds-eye that they demand it to manifest or to “Speak!” per say. Nothing short of these types of visions will change the world’s decline. I highly recommend the book Conscious Creator: 6 Laws for Manifesting Your Masterpiece Life. In it you will find methods that will help you find your God given mission and help you apply the laws to manifest your vision. Read it, apply it, and manifest your vivid vision. The legion of entrepreneurs are gathering on death ground. And from that gathering WE will find leaders of the “3rd Class,” and I, for one, intend to be one of them. Only heeding to the whispering of divine inspiration will “WE the people” find higher ground. WE will need to work interdependently and not merely independently–anything less will not be enough. For in doing so we will evoke the laws of synergy. As a member of the remnant army, WE will lead from the front as a beacon of light in the darkest of nights. WE will need to lead from the bottom up–for the bureaucratic institution’s top down dictatorship does not work. 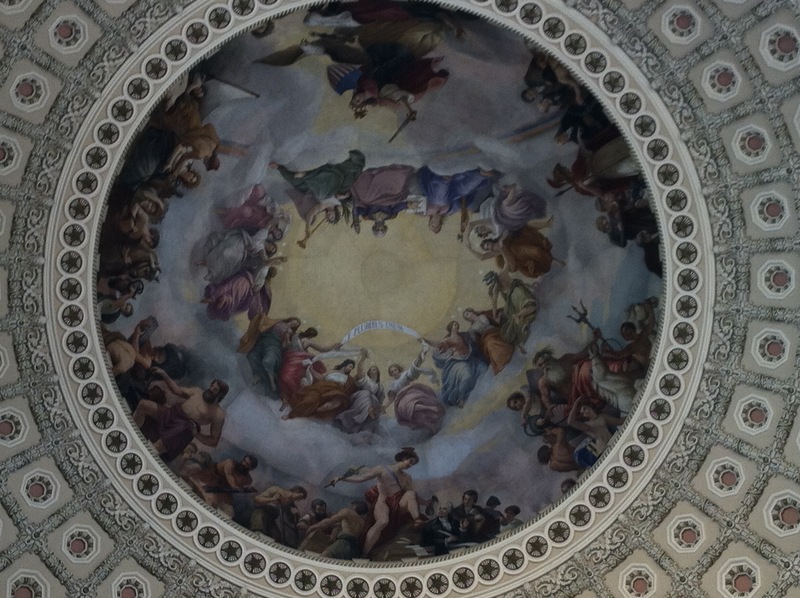 On Capital Hill you will find this mural on the ceiling with the subscription “E pluribus unum.” You will see the phrase on our fiat money and other buildings in Washington D.C. It means “Out of many, one.” Let us become ONE and harness the power of unity. Only by being a united people, will WE establish financial, political, physical, spiritual, and mental freedom because no establishment can. By lifting together all at once WE will make it possible. Do you understand how sorely you are needed? And IT’S the ONLY thing that ever WILL! Although, this change is a team effort, WE believe that this reformation begins with ourselves. For I know together we will change the world. For I cannot do it alone. I recently texted a buddy of mine in an attempt to inspire us, to live our missions, to remember our dreams, and be the movers and shakers we are meant to be. I wrote, “…just to let you know I know we will change the world. Just saying.” His response has caused me much pondering and reflection. He texted back “:) And it will be done by everyone lifting where they stand…” Lift where you stand…huh? I like that! Too often it is common for us to attempt to shirk from our work or think “someone else is supposed to do that.” We think our call is too significant or not important enough, or fall into that old lie that we are not good enough to do our part. Or our pride gets in the way and we think we need to do ALL the lifting on our own and later become discouraged and give up. We are called to lift where we stand, however, many of us ignore it or never respond to it for one reason or another. Urgency is needed to do our part. I personally believe each and every one of us has a mission to live, a purpose to accomplish, a story to tell that is so vital and important not just for us personally, but for those around us and for the generations to come. Our great freedom was not only bought for our pleasure but for our purpose! Viktor Frankl explained that it is great that we have a statue of Liberty on the East Coast, now there needs be a Statue of Responsibility on the West Coast. Why? Because we are responsible to accomplish what Frankl called our “concert and specific task”–our mission, our purpose, our reason. 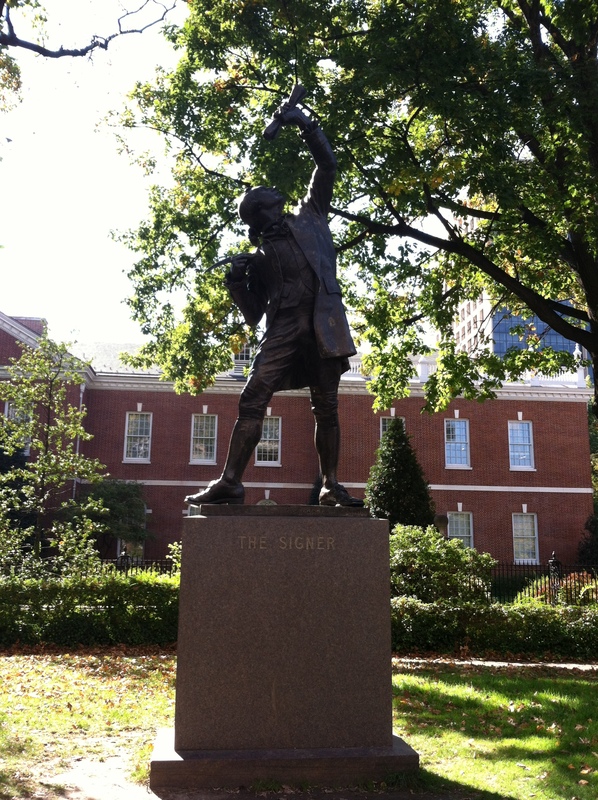 This is a statue called the Signers in Philadelphia. The caption at the base of it reads: “The sculpture you see before you commemorates the courage of those who alter their lives and ours by affixing their name to these documents” (Declaration of Independence & Constitution). These signers lifted where they stood not alone but together and changed the world. Anyone that has heard the call to “lift where you stand” knows who that call came from, and knows that they are responsible to the Great Creator for the accomplishment of their personalized task. We are once again in a time that Thomas Paine described by writing, “These are the times that try men’s souls” and we respond by answering our call. So lift where you stand! For the war cry is sounding for the legion of entrepreneurs and small businesses to stand and take their place. Why? Because our freedom depends on it. There is a desperate need for personally driven education right now. Why? Because our nation needs independent thinkers. I believe people are not answering the call because they lack the skills not the will. People are being frozen by F.E.A.R. (false evidence appearing real). And others are falling into the common path of justification and rationalization. Chris Brady wrote in his book Rascal: Making a Difference By Becoming an Original Character that to justify and rationalize is just that– “rational-lies” and “Just-if-I” had statements. If you’ve been called and you have run away due to fear; I invite you to turn back now. If you have run so far from Nineveh and find yourself in the belly of a whale, I invite you come out now! Put down the video game controller and come on out and begin living. Begin living your mission. We need your support in the ranks of the Remnant. Please respond to the War Cry! Answer it! Stop telling yourself rational lies and saying to yourself “Just-if-I” had ________ (Fill in the blank with money, a supportive spouse, a different location, a better upbringing, etc.) So you may be asking where do I begin? Simply, begin by doing. The best way to overcome fear is by taking actions. Start reading great books, start listening to great speakers, start associating with those who have success and start gleaning the principles of success from them and aligning yourself with those principles. When you fall down do you use “good” excuses, giving just short of your best efforts and merely expending a “good try”? Or do you get up, dust yourself off and push on with all you got? Believe it or not, you have it inside of you! We all do! Never give up! Fight until the end. This is the heart and soul of a winner’s spirit! Have the glorious dream, overcome the obstacles that stand between you and your dream, and then cometh the victory. Before Jim Carry was well known, before he was famous, before he was wealthy, he would drive up to where the famous “Hollywood” sign that overlooks L.A. stands. There he would visualize his dream. He would dream about being famous and being wealthy. So much that as he overlooked the L.A valley he wrote out a check to himself for 10 million dollars for “acting services rendered” and dated it Thanksgiving day 1995. Just prior to that date he was given a check for his movie “Dumb and Dumber” for how much? Yep, you guessed it. 10 million dollars! So what is your detailed vivid dream? And next time you fall down, deny yourself of the “good” excuses and do not take the path of the masses by merely giving it a “good try,” but rather use your winner’s heart and give your all towards your dream. This week here at Forging Fortitude we have a guest blogger. He is young, successful and I recently listened to a lecture he gave on the following topic and asked him to write a short post on it. Enjoy! In this post, I hope to be able to share with you a bit about how your mind works, why it is important to become friends with your mind, and finally some tools you can use in your daily lives to achieve your dreams. 1. The conscious mind, it deals with the thoughts you think. 2.The subconscious mind, it deals with the images you see in your mind. In his book The Ant and The Elephant, Vince Poscente likens the conscious mind to an ant and the subconscious mind to an elephant. He uses this analogy because of a speech given on November 12,1992 by Dr. Lee Pulos on the areas of psychology and personal growth. Dr. Pulos stated that in 1 second of thinking the conscious mind uses 2,000 neurons while the subconscious mind uses 2,000,000,000 neurons. With these staggering numbers in mind, Vince Poscente uses a parable about an ant who finds out he has been living on the back of an elephant his whole life. The point being that no matter what direction the ant (conscious mind) thinks he is going or wants to be going, it is ultimately up to the elephant (subconscious mind) where he ends up. The subconscious mind usually becomes “programmed” between the ages of 2 and 12 years old. Throughout childhood we are bombarded with all kinds of new situations both repeatedly and intensely. 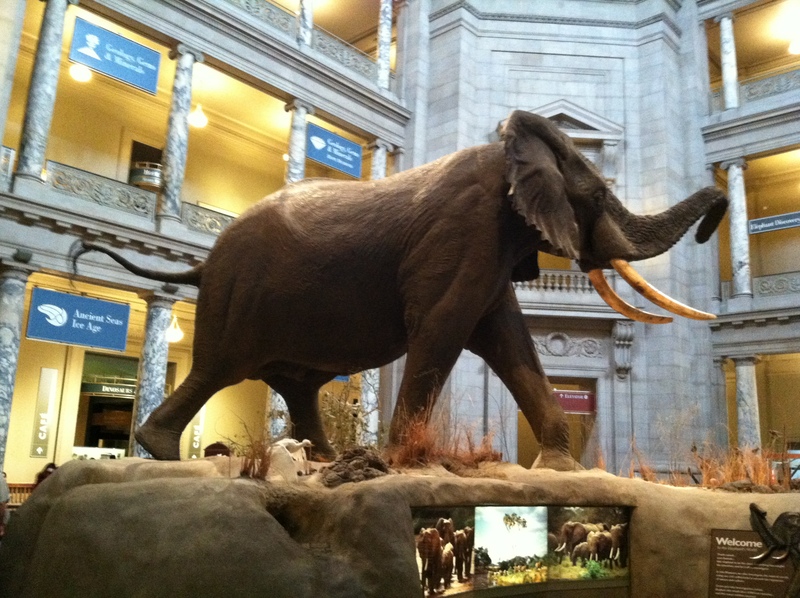 These become the paths our elephant walks on over and over, and guides us for the rest of our lives. Unless we change them! I want to share with you a powerful tool to use in your lives to change the paths your elephant is taking so that you can reach your goals and achieve your dreams. The most important tool I use on a daily basis is what I call the dark and light journal. In order to know how to change our thinking we have to be aware of it. On average the human mind thinks about 60,000 negative thoughts a day. This tool helps you become aware of those thoughts. Take a notebook and on a page draw a vertical line down the middle. On the right side of the line write 10 negative thoughts you heard during the day. On the left side of the page write 2 positive thoughts for every negative thought. I’m great at piano and play awesome! | I’m terrible at piano. The reason you want to use two positive thoughts for every negative is that you start the day out at a certain level and when a negative thought comes it drops you a level. If you only replace it with one positive you will only be back where you started. If, on the other hand, you replace it with 2 positives you step up to a higher level. After you have written both negatives and positives you can rip the negatives out of your notebook and throw them away or burn them. Burning works really well because your subconscious sees that and remembers it. I hope this has shed some light on how you can, on a daily basis, clean up your elephant and start to get it on the right paths. I am humbled to be able to share this with you and wish you all that your dreams come true. Through applying this and by the grace of God they will come true. God bless. My name is Michael Harrison and I am 25 years old. I am one of the owners of a pizza restaurant (The Hub) in Enoch, Utah, as well as a member of a leadership and personal development company called LIFE (Living Intentionally For Excellence). I am grateful to John for giving me this opportunity to share my insights with you. Victor Frankl, a psychiatrist and Nazi concentration camp survivor, advocated strongly against euthanasia (“the practice of intentionally ending a life in order to relieve pain and suffering”). He explained that when someone endorses this idea they are basically communicating that some situations are worth living for and others are not. Frankl firmly believed and taught regardless of the situation, no matter how hard and dismal it may be, meaning can be found. In fact, it was this exact mind-set that allowed Frankl, to live 300% longer then the average person in a Nazi concentration camp. When we have the worldview that life is only worth something when it is full of sunshine and rainbows, we miss the valuable opportunity to grow beyond ourselves. Furthermore, when we are dependent on external influences to determine the value of our existence we will mix up pleasure and happiness. We will be indulgent in pleasure seeking behaviors and become addicted to a myriad of things in an attempt to mask our emptiness. Because meaning can found in any context, Orrin Woodward explained that, “There are not hopeless situations only hopeless people in a situation.” Thus, by choosing to accept the challenge “to change ourselves” and find inner hope regardless of the environmental conditions we will find a Life Worth Living. Find a group of people that believe and live what Frankl taught, and you will find people that see stumbling blocks as stepping stones. People who are not afraid to dream and do not shrink from their God given mission, but strive to outdo their yesterdays with today to fulfill that mission. You will see people full of passion and life. You will see excellence in action and you will feel like you are among greatness. You will see people that are bigger than their problems because they are part of something bigger then themselves. Let us exemplify a life worth living that is perpetually thrilling.